Black Sabbath guitarist Tony Iommi says his cancer issues have brought about the need for the band’s newly-announced farewell world tour after five decades on the road. The 67-year old – who was diagnosed with blood cancer lymphoma in January of 2012 – continues to have regular checkups on the health issue. “I have finished my courses of treatment,” he says. “Now it’s a case of keeping tabs on things. “I have the blood tests every six weeks, and then there’s a bigger check-up every now and then to make sure that all is still well. I have my next one in a couple of weeks, and hopefully everything will be fine. Last week, Black Sabbath announced the first series of dates for their farewell world tour. Billed as “The End”, three-quarters of the original lineup – Iommi, Ozzy Osbourne and Geezer Butler – will launch the group’s final live dates in Omaha, NE on January 20. 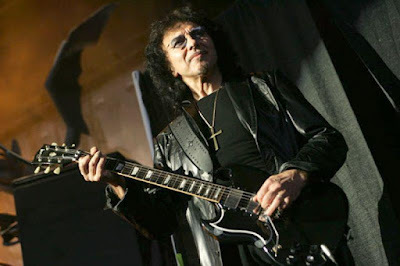 “We’ve been doing this for getting on for 50 years now,” adds Iommi. “It’s about time we draw the line, don’t you think? It’s been great but it’s time to stop now. Don’t get me wrong, I still love gigging. It’s all the travelling and the exhaustion that goes with it that’s the problem. That side of things has a big impact on me.